Tap into your body’s own healing ability and feel stronger, calmer and more focused. Jeff will teach you simple movements you can do to build energy and eliminate stress FAST in your body and your mind. Science is now confirming what the ancient Chinese have known for centuries; deep breathing, specific gentle movements, and proper mental focus is incredibly beneficial to your health! Qi Gong, sometimes referred to as Chi Gong or Chi Kung is a powerful form of exercise used in Traditional Chinese Medicine to promote health, vitality and longevity. Qi Gong is easy to do. The movements are simple and can be practiced virtually anywhere. Even as little as five minutes a day will improve your health in a significant way. We all have five minutes to spare! You don’t need any special equipment to do Qi Gong. You can do it in your office, at home, outside…wherever you are. ‘Qi Gong for Vitality’ is now an online membership site containing a collection of Qi Gong routines that can be watched from anywhere! Qi Gong for Vitality Membership makes it easy to practice at home, at work, while traveling or wherever you are – even if you only have a few minutes. Learn at your own pace and follow along as Jeff leads you through different exercises and routines. Membership makes it so easy to practice everyday. You can watch the routines as many times as you like, pause or re-play when needed. Get ready to feel amazing! 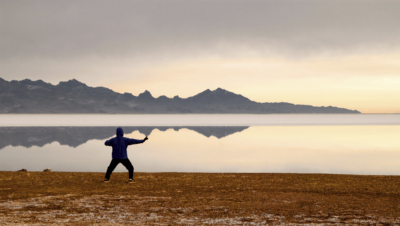 Become a Qi Gong for Vitality member for $14.95/month (USD). There is also a 7 day free trial so you can try out the membership site and see if you like it. There are no contracts and you can cancel at anytime. No pressure. In our online Qi Gong community you will have access to many different Qi Gong routines that will have you feeling calm, grounded and vibrant. When practiced regularly Qi Gong can provides many health benefits. The idea of the online Qi Gong routines is to get you started in the habit of daily Qi Gong practice. With regular practice you will see the benefits in your mental and physical health. It’s simple to do and a great way to try Qi Gong for the first time. Use it to start your day feeling vibrant, grounded and calm. ‘Qi Gong for Vitality’ started as an in-person Qi Gong workshop but due to popular demand has been converted to a growing series of online video lectures to provide greater accessibility. Access the videos from anywhere. The exercises are convenient, easy-to-do and VERY effective. Jeffrey Chand, R.Ac (Dipl. TCM) graduated from the International College of Traditional Chinese Medicine and has been in practice as a Registered Acupuncturist since 2000. Post graduation, he furthered his education and training through practical experience at a hospital in Taipei, Taiwan. While in Taiwan he studied Qi Gong extensively and the medical applications for health. Jeff is founding director of Coastal Acupuncture and Wellness, a clinic in Victoria BC, and a licensed member in good standing of the College of Traditional Chinese Medicine Practitioners and Acupuncturists of BC (CTCMA).